Will the plastic carry-ban in Delhi be enforced this time? National Green Tribunal has directed an interim ban on non-biodegradable plastic bags of less than 50 microns in NCT Delhi. In its order dated August 10, 2017, it categorically referred to “the carry bag of thickness less that 50 microns which are being used in the market and it is one of the principal ingredients of environment hazards in Delhi”. This was following the petition filed against the environmental degradation of the city. The government had issued a similar notification in October 2012, which prohibited the sale, storage, manufacturing, import and transport of all kinds of plastic bags in Delhi. Plastic bag manufacturers had moved the HC against the order almost immediately, following which, the case was put on hold. In an order dated December 2, 2016, NGT had banned the use of plastic carry bags of less than 50 microns and plastic crockery in Delhi-NCR with effect from January 1, 2017. Delhi government had to come out with a phase-out plan. It was neither initiated nor implemented by the authorities while the production and use of plastic less than 50 microns have continued vigorously over the last seven months. The Solid Waste Management Rules, 2016 had also banned production and sale of plastic carry bags of less than 50 microns. According to the latest order, penalty (environment compensation) of Rs 5,000 will be imposed on anyone found in possession of these plastic carry bags. This may be changed after the next hearing due on August 29, 2017. The tribunal has also directed the Delhi government to seize the entire stock of plastic within one week from the order date. NGT also ruled that an environment compensation of Rs 10,000 will be imposed on vegetable vendors and slaughter houses for throwing waste in public places. The bench had asked the AAP government and the Delhi Pollution Control Committee (DPCC) to direct their seniormost officers to file an affidavit and inform the tribunal on the previous direction it issued in January 2017 with regard to dumping and use of plastic in the city. Till now, 17 States/UTs have imposed a complete ban on the use of polythene bags but the status of its implementation is weak almost everywhere. This July, Madhya Pradesh passed a bill imposing a complete ban on plastic carry bags. According to a recent study conducted by Shriram Institute for Industrial Research on waste composition of South Delhi, it was found that 12.16 per cent of the waste produced was plastic. In Delhi, the quantity of plastic waste was assessed to be 10.14 per cent of the city’s total waste by the Central Pollution Control Board in 2015. High-density and low-density polyethene (HDPE/LDPE) forms 76 per cent of the total plastic waste. 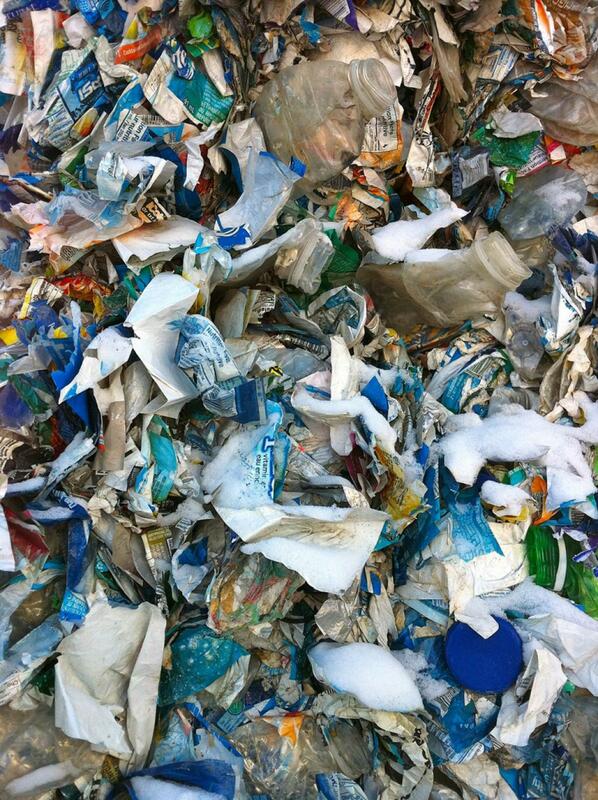 PVC and Polystyrene material form 7 per cent and 10 per cent of the total plastic waste. The thin plastic bags, which are widely give by street vendors and shopkeepers, are generally made of LDPE and cannot be recycled easily due to thinness. These plastic bags do break down, but they never biodegrade. LDPE, which is a major contributor to plastic menace in the city, would decrease if the ban is implemented rigorously. They are often eaten by the animals, creating health hazards for them and posing severe environmental crisis. They do not have any resale value and often end up choking the gutters of the city. Moreover, most vendors and consumers tend to throw plastic bags after using them and are relatively ignorant about the reuse or recycling of plastic bags. In a study conducted by Delhi-based Toxic Links on the impact of plastic on Delhi in 2014, it was found that despite a ban in the national capital, approximately 62 per cent of the vendors and 78 per cent of the consumers interviewed during the survey were using plastic bags. The authorities should ensure that ban is enforced on manufacturing and production of plastic. It would, in turn, help in curbing its usage. One of the major challenges for the authorities would be stopping the plastic bags that are coming into the city from neighbouring cities. The authorities have been ineffective in curbing the illegal supply of plastic bags over the past years and this would still be a major challenge. The key to restrain the usage of plastic waste is public awareness while providing affordable alternatives at subsidised costs. Pricing of good quality plastic and cloth carry bags should be regulated so that they are convenient for the people to use. Also, the plan of action should ensure monitoring and compliance of this ban. Delhi has tried to implement this blanket ban many times in the past, but if the authorities discharge their duty, it could prevent the city from choking on its own plastic. Curbing the use of plastic carry bags of less than 50 microns, if implemented, would not only help the city in managing waste, but also in curbing air, land and water pollution. There plea is that manufacture plastic bags should be stopped.